Book Daniel Hannan as a keynote speaker. 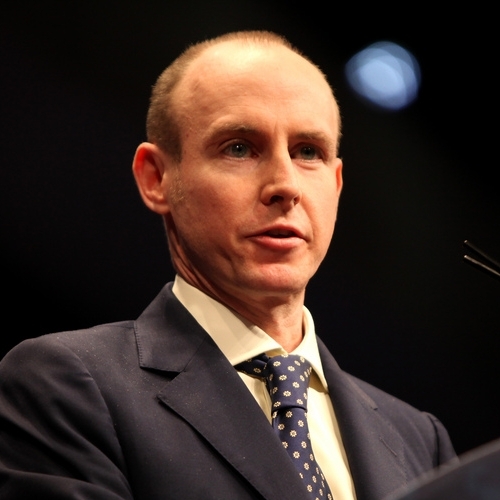 Daniel Hannan is an author, journalist, and Member of the European Parliament who engineered the demise of his own longstanding career in Brussels by founding and masterminding the ‘Vote Leave’ campaign for Britain’s exit from the European Union. Daniel Hannan is an author, journalist, and Member of the European Parliament who was a founder and key figure in the ‘Vote Leave’ campaign for Britain’s exit from the European Union. Once described by the Financial Times as ‘the thinking man’s Eurosceptic’, Daniel sees Brexit as a means to galvanise not only the UK economy, but the world’s trading system at large. His latest book, What Next: How to get the Best from Brexit (2016), outlines his vision of a successful, dynamic, and fair post-Brexit Britain and just what Britain, the EU, and businesses need to do to bring it about. A prolific writer, Daniel’s other books include the New York Times bestseller Inventing Freedom: How the English-Speaking Peoples Made the Modern World (2013), and the Sunday Times bestseller Why Vote Leave (2016). He also writes regular columns for the Washington Examiner, The Sunday Telegraph, and the International Business Times, and contributes articles to The Daily Telegraph, The Guardian, and the Wall Street Journal. Daniel is the founding President for the Initiative for Free Trade, a think-tank which argues the moral case for free-trade, emphasising the ability of open commerce to alleviate poverty, resolve conflicts, and expand the scope of social justice. Daniel has been arguing the case for Britain’s exit from the European Union as an MEP for nearly 20 years, and few make the case for Brexit with as much passion, experience, or eloquence. Daniel Hannan speaks at The Heritage Foundation's 2016 President's Club Meeting about Brexit and its potential effects on the ‘special relationship’ (2016). Daniel Hannan talks to the Hoover Institution about the obstacles that post-Brexit policy-making must overcome in order to make the most out of the opportunity that Brexit represents (2018).